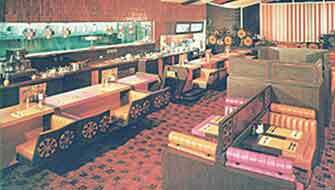 Harold Butler and Richard Jezak opened a donut stand in 1953 and called it Danny's Donuts. Butler's stated promise was "To serve the best cup of coffee, make the best donuts, give the best service, offer the best value and stay open 24 hours a day." Today that donut stand is a restaurant chain with a slightly different name, over 1,700 locations and a proven reputation for keeping Mr. Butler's original promise. The Bistro Group is a collection of international hospitality casual dining brands and homegrown concepts unified by a people-focused philosophy that is the backbone of its success. The Bistro Group of Restaurants was founded 21 years ago when it introduced TGIFridays in the Philippines, a concept that created quite a stir in the local market. Since then, other international and local brands were introduced by the company. The recent addition of Texas Roadhouse, Moe’s, and Denny’s brought to 14 the number of brands under The Bistro Group (TGIFridays, Italianni’s, Fish & Co., Village Tavern, Krazy Garlik, Watami, Tonkatsu by Terazawa, Modern Shanghai, Bulgogi Brothers, Murray D V’ine, and Buffalo Wild Wings) and over 60 restaurants nationwide. The Bistro Group’s success can be attributed to its strong management team, excellent staff training, company culture of empowerment, open door policy and teamwork, innovation, its being customer-centric and its strong and pioneering leadership in the casual dining segment. Its operations is ruled by its passion and commitment, behind every innovative dish prepared, and with every service rendered with a smile. 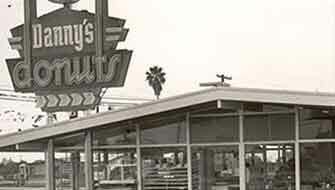 Harold Butler and Richard Jezak open Danny's Donuts in Lakewood, CA. 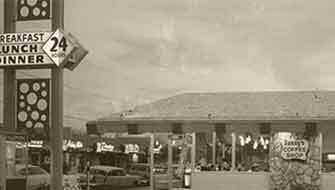 After Jezak's departure from the now 6-store chain, Butler created and changed the concept a year later from a donut shop to a coffee shop with store #8. Danny's Donuts is renamed Danny's Coffee Shops and changes its operation to 24 hours. 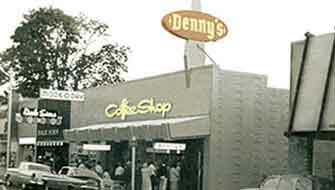 To avoid confusion with LA restaurant, Coffee Dan's, Butler changes the name from Danny's Coffee Shops to Denny's Coffee Shops. 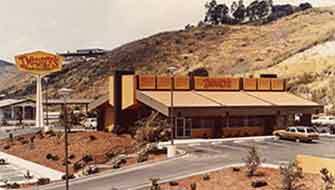 Denny's Coffee Shops becomes Denny's. And the rest is history. Denny's goes international, opening its first restaurant in Acapulco, Mexico. Denny's Stock begins Trading on NYSE under "DEN." The Grand Slam® is introduced in Atlanta as a nod to homerun slugger, Hank Aaron. Big milestone: There are now 1,000 Denny's across the country. Denny's headquarters moves from Irvine, California to downtown Spartanburg, South Carolina. Denny's becomes the largest corporate sponsor of the national charity Save the Children®. 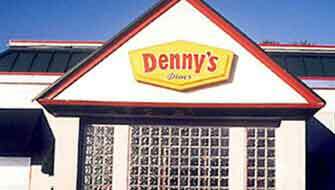 Fortune Magazine ranks Denny's #1 on the list of "America's 50 Best Companies for Minorities." 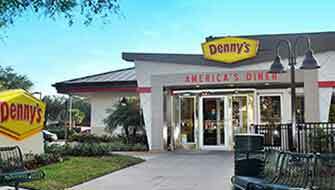 Denny's parent company, Advantica Restaurant Group, Inc., is renamed Denny's Corporation to reflect the one brand focus. 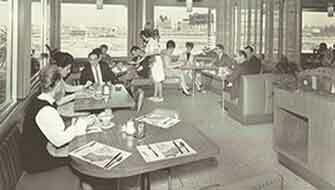 Black Enterprise magazine ranks Denny's at the top of its list of "Best 40 Companies for Diversity" in July 2006. Two million free Grand Slams® are served on the Tuesday after Super Bowl XLIII. Added 136 new units, the highest number of domestic opening in history, including 100 Flying J/Pilot Travel Center Conversion sites and 6 university locations. The $2 $4 $6 $8 Value Menu® make its national debut. 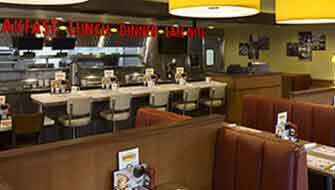 Denny's opens its 1,600th restaurant in September. 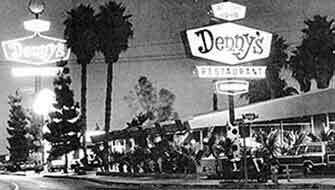 Happy 60th Anniversary to Denny's. 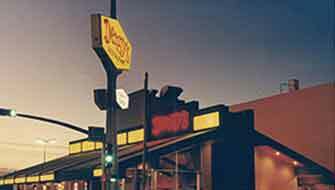 Now with over 1,700 restaurants worldwide, Denny's continues to grow.